Smith Wigglesworth was a famous revivalist who once said, "I'm a thousand times bigger on the inside than I am on the outside." I think the apostle Peter probably felt like that too, not when the rooster crowed, but on the day of Pentecost! So it is good that Jesus left us because He sent the Holy Spirit in His place, and the Holy Spirit is the God source of supernatural power. There is an empowering - an infusing of the very supernatural dunamis of God - when a believer receives the baptism ( or immersion ) of the Holy Spirit. This is our introduction to the power-filled life that Jesus promised. 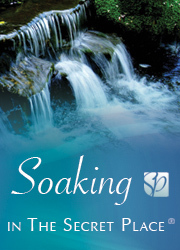 Download free book - free pdf download of the best teaching on walking in the spirit I have heard. But most believers who have experienced the baptism of the Holy spirit are not experiencing the overcoming spirit-filled life that Jesus promised! Why not? Because Jesus never intended the infilling of power to be a one-time experience. Believers need to be continually re-filled with the power of the Holy Spirit. Why? .....because we all leak! That is why in Eph. 5:18 the literal Greek reads "keep on continually being filled with the Holy Spirit." Question: How does the Bible say we should keep our spirit batteries charged so that we continually live the overcoming christian life, full of power and freedom with God's kingdom authority operating in our lives? By singing songs!!! ..... that's right, by singing songs! 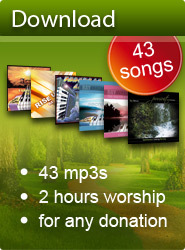 But not just any kind of song....... spiritual songs. Eph 5:18 "And be not drunk with wine, wherein is excess; but be filled with the Spirit; speaking to yourselves in psalms and hymns and spiritual songs, singing and making melody in your heart to the Lord." These spiritual songs are songs birthed by the Holy Spirit Himself in our spirit when we sing in tongues. And because they originate from the spirit of God they carry His power. And this power infuses us and builds us up in our most holy faith and edifies us so we remain strong for God. Paul says in 1Co.14:15, "What is it then? I will pray with the spirit, and I will pray with the understanding also: I will sing with the spirit, and I will sing with the understanding also." Paul said he prayed with the spirit, and he prayed with the understanding. He also said he sang with the spirit, and he sang with the understanding. He did two things - he prayed and he sang. And he said he did these two things - pray and sing - in two different ways. He did it with his understanding and he did it with the spirit. Now what does it mean when it says he prayed and sang "with the spirit"? What could this possibly mean other than that he prayed and sang in tongues? Specifically, he prayed and sang in an unknown tongue, otherwise there would be no point in contrasting it with praying or singing with his understanding. Could it be then, that Paul's source of power lay in the fact that he sang in tongues alot, just like he prayed in tongues alot, in fact, "more than you all." 1 Cor. 14:18. Maybe it seems far too simplistic to suggest that we live the victorious christian life simply by going about our day continually singing in tongues... But then why not try it? And see if you too don't feel... "a thousand times bigger on the inside!!" Praying in the spirit: The Walk of the Spirit - Excellent book by Dave Roberson. Download free e-book. Speaking in tongues - The gift of speaking in tongues - Questions & Answers about speaking in tongues. Singing in tongues - Why sing in tongues? A deeper explanation why singing tongues is included on my cds. Singing in the spirit - What is singing in the spirit? What does it mean to sing in the spirit? My personal experience. Sing a new song! If we are truly writing songs that are "not of this world" then their origin should be "other worldly" ie - supernatural in origin.